The RGV Tour — PJKoenig Golf Photography PJKoenig Golf Photography - Golf Photos For Those Who Love The Game. At the end of every golf trip I think to myself... "What if I didn't have to stop playing golf? What if I could just drive down the road and go to the next golf course? The next state? Just never stop playing golf?" For years, that has been my dream. I have decided that the time to live the dream is now. I have resigned from my sales position, I have purchased a recreational vehicle (RV), and turned it into a recreational golf vehicle (RGV). I am touring the country playing golf for the next 12 months. I will be raising money for the First Tee and I am inviting you to join me. Yes, that's right, I quit my job to play golf every single day. Over the next year it will be my goal to play golf in the lower 48 states. I will be looking to play everywhere, the local gems, the top 100's, the quirky par 3 courses, the local municipalities, and the top tier putt-putt tracks. I am starting the Recreational Golf Vehicle Tour, or the RGV Tour and it is going to be glorious. 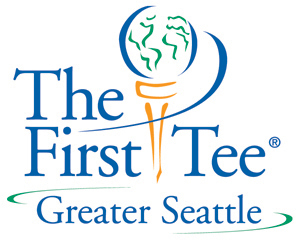 The best part about the RGV Tour is that I will be raising money for a worthwhile cause, The First Tee of Greater Seattle. The First Tee positively impacts the lives of young people by building character, instilling life-enhancing values and promoting healthy choices through the game of golf. With all that the game of golf has given me, I feel it's important to start giving back. My goal is to present a check for $10,000 at the season ending check ceremony. The second best part about the RGV Tour is that it is coming to your town. I am inviting you to join me and you don't have to go to Q School to get your RGV Tour card. All you need is a passion for the game and a 9 iron. Just consult the schedule and send me a message l and I will do my best to bring the RGV Tour to you. After we golf our socks off, you will be invited to sign The RGV Tour guest book with other legends of the RGV Tour. Upon signing, you will automatically be entered into the RGV Tour hall of fame. Yes, everyone that joins the RGV Tour is a member of the hall of fame. At 26 feet long, the recreational golf vehicle will serve as the RGV Tour headquarters for the next 12 months. Now leaving behind your home and no longer having a "mailing address" can be scary, but this ride should ease the pain. The Tour bus is complete with a mini golf library, and is stocked full of golf balls and energy bars. It is #golfparty headquarters. While I have a tentative schedule for the states, I believe the magic resides in the spirit of exploration and adventure. The goal of the RGV Tour is to explore the places and people that make up the American golf landscape. It all starts on January 28th 2018 at the RGV Tour kickoff event at Chambers Bay. If you are interested in joining, please let me know as spots for this premier event are limited. The first tour event of the season is at Chambers Bay on January 28th. Please head on over to the RGV Tour Blog as the regular blog has been suspended temporarily due to the RGV Tour.